After the Dissolution of the monasteries in 1538 the Mitcham estates held by the priories of Southwark and Merton went into the hands of lay landowners. The manor of Ravensbury was already privately owned, but Vauxhall remained in the hands of the Church with the Dean and Chapter of Canterbury continuing as lords of the manor over a considerable part of central Mitcham, including the Lower Green. Because the village of Mitcham was situated a little over one hour’s drive by horse and carriage from the capital and within a reasonable distance of the royal palaces at Richmond, Nonsuch and Greenwich, it attracted many connected with the court and government, as well as those with legal or commercial interests in the City of London. Moreover, it had fresh air and pure water – both scarce in Tudor London. 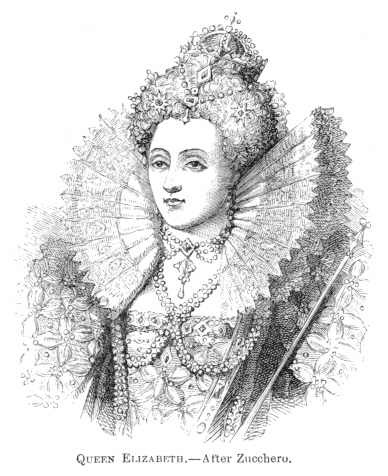 Queen Elizabeth I visited Mitcham on no fewer than five occasions. The courtier and poet John Donne, who became Dean of St Paul’s in 1621, lived from 1605–1611 in a little house in Mitcham. Towards the end of the 16th century Mitcham became the home of several refugee families seeking freedom from religious persecution in the Spanish Netherlands. They introduced the trade of whitstering, or the bleaching of linens, which became an important local industry, dependent on the pure waters of the Wandle and its water meadows, where the washed fabrics were spread to bleach and dry in the sun. During the Civil War the outbreak of fighting nearest to Mitcham appears to have been a skirmish at Ewell in 1648, but the village was affected indirectly by the war in various ways. Merton priory was garrisoned by Parliament, and many villagers must have suffered enforced billeting of troops and the seizure of produce and livestock. Sir Robert Tichborne, a signatory of Charles I’s death warrant in 1649, was resident in Mitcham for several years.